HourGlassIT provides professional PPC services in Chennai. We serve for the clients in Chennai, Mumbai, Delhi, Kolkata, Bangalore, Hyderabad and several other parts of India. SEM stands for search engine marketing where you buy traffic through paid search listings or ads purchase on search engines. Consider the fact that approximately 67% of consumers use search engines in their product research, which leads to sales. The paid ads provide immediate results to the customer websites. Paid adverts make you visible online in the form of text and image ads. 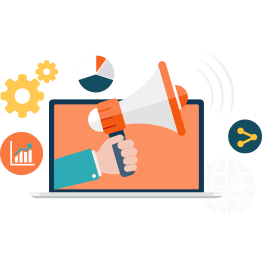 SEM consists of many services such as Google AdWords, Bing Ads, PPC, CPC advertising and more specific factions of paid search advertising like retargeting, geotargeting and enhanced campaigns. HourglassIT provides complete support for SEM and make sure that your ads reach out to the right audience to get you more returns. We will have a detailed discussion with you to understand your goals. Based on your requirements, our team will set up adverts to meet your objectives. We create attractive ad copies to make you stand out of the crowd. After a detailed research, we will find out exact keywords to display your ads to the right people. With our close and constant monitoring process for your performance of each ads copies, we look for the possible ways to get more clicks. We keep track of results to understand the customers who find your business online and update you by sending relevant reports once in a week. Copyright © 2018 Hourglass IT Solutions Pvt Ltd, Rights Reserved .